The house was perfectly located for reaching the town – just a short walk into the town but far enough from the main town to be quiet. There were a number of boulangerie within easy walking distance along with restaurants and bars. The house was ideal with the private parking. The property was ideally placed to visit Mont Saint-Michel and St. Malo as well as places a little further afield like Bayeux. Jérôme was very helpful and showed us around the house and, although we did not need him during our stay, he was only a phone call away if we had needed anything. We would thoroughly recommend this property for a stay in Dinard. Thanks for your message Brian . we are very pleased that you enjoy your stay in Ker Ida . We are so happy to have Jerôme to help us . We enjoyed our stay very much. The cottage is clean and comfortable and has everything that you might need and is only around 10 minutes walk from the beach and a couple of minutes to the market. The wifi is very good. We hired beach towels and linen at a reasonable price and were met by Jerome who was very helpful. Chantal and Laurent were very helpful before and during our visit. The beach is amazing - we swam every day. we are very happy to be informed that you had a nice week in Ker Ida. "The accommodation matched the description perfectly. It is a clean, well equipped house, close to all amenities and in pleasant peaceful surroundings. We enjoyed our stay." "Het is een heerlijk huisje in een mooi omgeving! Het ligt op een rustige plaats in het centrum en vlak bij het strand. En ideaal met kinderen. Alles is zowel voor kleine kinderen als voor grotere kinderen aanwezig. Een echt aanrader!" 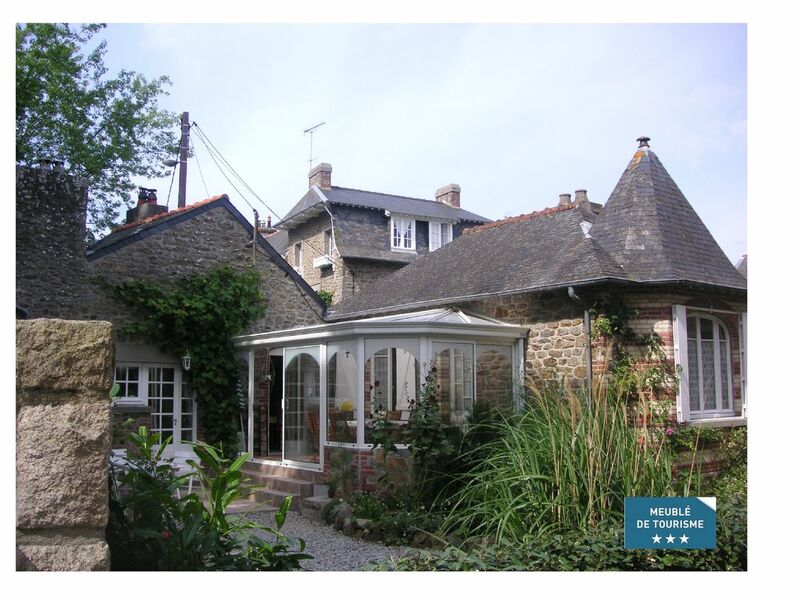 "An excellent holiday house, very well situated in a quiet road close to the centre of Dinard. The property is well furnished and equipped and the small garden is delightful. We enjoyed our stay very much and have no hesitation in recommending the property to others"
"The villa " Ker Ida " was very nice, the area was very quiet and the garden very pleasant. The house was clean and tidy and there was plenty of crockery and cutlery,everything needed in fact. Dinard is a most pleasant place to holiday, we have been before and will visit again, probably to the Ker Ida if they will have us!We find the people in Dinard very friendly and helpful. Thank for a nice stay." (Text automatically translated) For sports holidays, choose between walks on the dike or coastal paths, swimming in the summer, the heated relaxation area with sea saltwater pool, golf, sailing school, the center equestrian, tennis, karting, cycling ... To make you happy enjoy restaurants, exhibitions, cinema, casino, lectures, guided tours .......Documentation will be available at home.